Lenovo has officially announced the rumored Moto M. The device has been listed on Lenovo’s website. The main highlight of the device is its all metal body and 4 GB RAM. What’s disappointing is that Motorola seems to go the Lenovo way and is using Mediatek processors even in its flagship devices. The Motorola Moto M has been priced at CNY 1999 (Rs. 20,000). The device will be available in Gold and Silver color options. It will go on sale online from the Lenovo website, jd.com and other online retail stores starting from November 9. It will be available across retail stores in China from November 11. 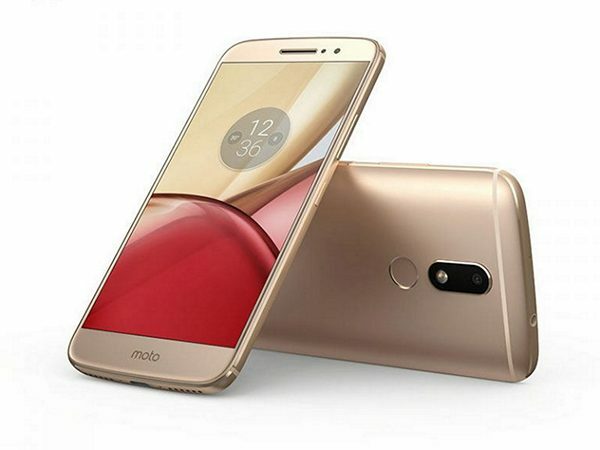 The Motorola Moto M comes with a metal unibody with a curved back. It comes with water repellent nano coating just like other Moto devices. It sports a fingerprint sensor below the primary camera. The Motorola Moto M runs on Android 6.0.1 Marshmallow. The device features a 5.5 inch full HD Super AMOLED display with a resolution of 1920 x 1080 pixels. The device come with a pixel density of ~401 PPI. The Motorola Moto M is powered by an Octa core Mediatek Helio P15 processor clubbed with Mali-T860MP2 GPU. The device comes with 4 GB RAM and 32 GB of internal storage which can be further expanded up to 256 GB via microSD card. Coming to the camera department, the Moto M features a 16 MP primary camera with phase detection autofocus and dual LED flash. On the front, the device sports an 8 MP secondary camera with a 85 degree wide-angle lens. The Moto M is powered by a 3050 mAh battery with Turbo charging. Connectivity options on the device include 4G VoLTE, Wi-Fi 802.11 a/b/g/n/ac, Bluetooth 4.1, GPS, NFC, USB Type-C.